Daulat Waziri the Afghan Defense Ministry spokesperson told media groups that the crash was owing to the technical fault in the helicopter that resulted in killing seven on board, four of the crew and three Afghan Army Personnel. The Taliban spokesman, Zabihullah Mujahid claimed that their fighters had fired on the Afghan Army helicopter. “An ANSF helicopter was shot down in Qarghan Tapa (hill) area of Dandi Ghori region, Puli Khumri Baghlan this morning (Sunday), killing all aboard,” says Zabihullah Mujahid. The Afghan private news channel TOLO has confirmed through a source that the helicopter was fired on by Taliban militants. The statement of Afghan Defense Ministry reads that 43 Taliban killed and 21 wounded in Farah province, on the other hand 34 of the Islamic State fighters killed, tens more wounded and 5 arrested in Nazian district of Nangarhar province in different joint operations. The ministry has also confirmed the death of 18 Afghan Security personnel. “59 Taliban killed in Kunduz and 37 wounded,” reads the statement of the Defense Ministry. 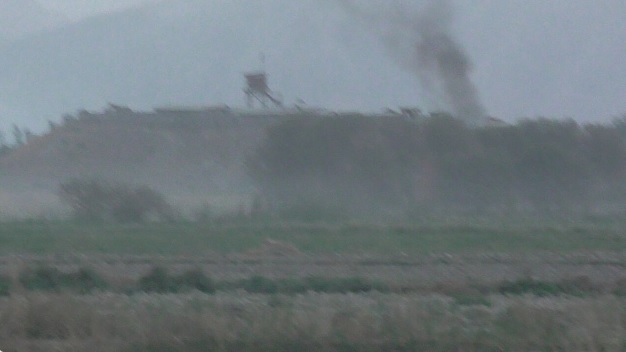 Earlier the Taliban had reached the main intersection of Kunduz province. The province had fallen for a brief time to the Taliban last year.